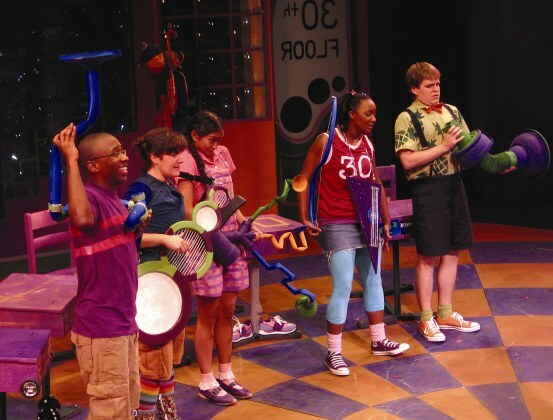 For the zany world of Louis Satcher's 'Sideways Stories', children turn into apples, cows dance the disco, and the new teacher arrives with a cart full of magical instruments! 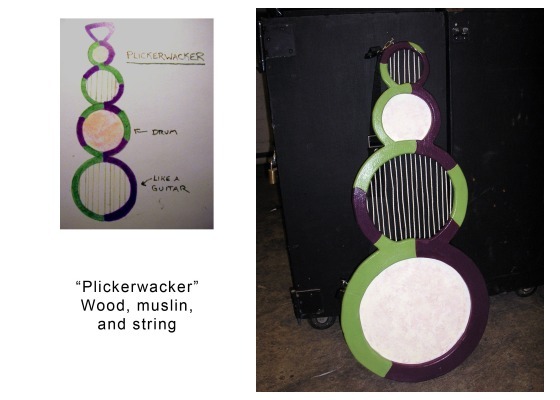 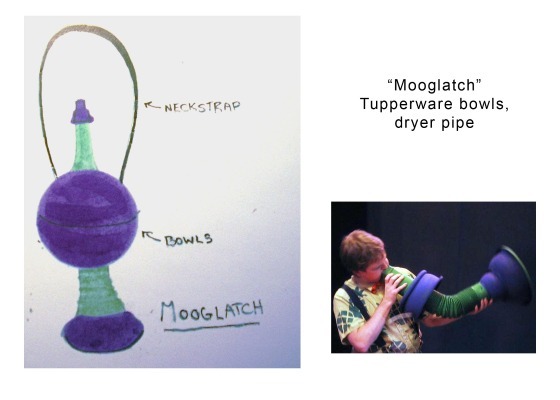 In my role as Props Designer for the hand properties in this Theater for Young Audiences piece, I designed instruments based off the scenic design, the world of Dr. Seuss, and modern art instruments. 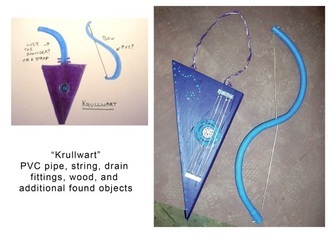 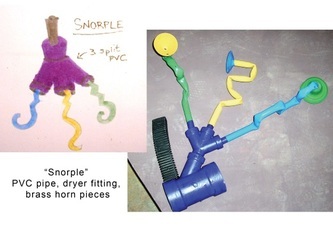 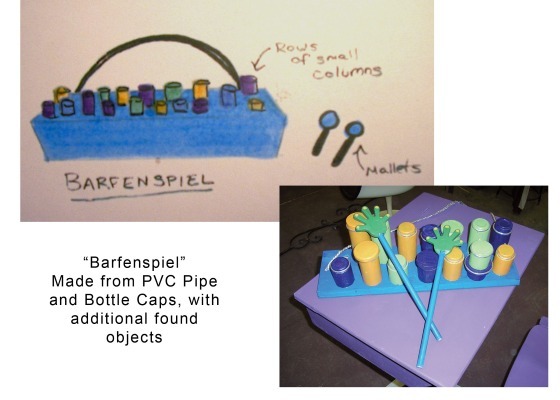 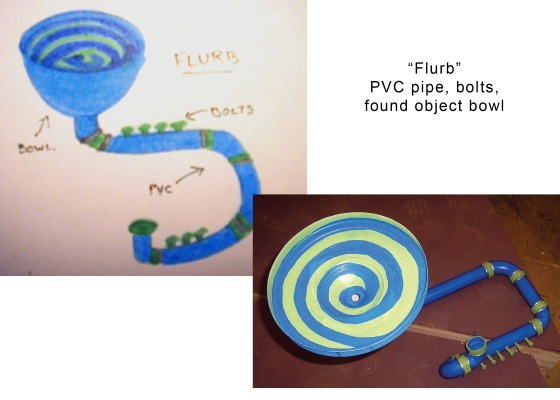 Using found objects, I built the non-functional instruments and then the Sound Designer used the visuals to inspire a musical composition that these newfangled contraptions might play!